After a bit of a stumble with last year's Superchargers, Skylanders is back and ready to go toe-to-toe with Disney Infinity in the creativity side of the toys-to-life battle. Had the competition not folded, Imaginators would have given it a run for its money. Skylanders was always a better game than Disney Infinity. Disney spent three years tagging in different developers to try to squeeze something akin to Skylanders' rock-solid combat platforming out of a relatively ancient game engine, getting close in the later days of Disney Infinity 3.0 only to have its plug pulled from on high. But Disney Infinity did have two things Skylanders did not. It had licensed characters from some of entertainment's biggest properties including Star Wars and Marvel comics, and it had the massive creativity outlet that was the Disney Infinity Toy Box, where children young and old could let their imagination run wild. Skylanders: Imaginators feels like direct answer to Disney Infinity's creative play. It's right there in the name. The latest instalment of Skylanders allows players to create their own characters, something a game that leans heavily on licensed properties could not. Imaginators was announced a month after Disney Infinity folded, but had it lived it would have been very impressed. I certainly am. While there are new Toys for Bob creations to purchase and play this time around, the real star of the Skylanders: Imaginators starter kit is the Creation Crystal, a bit of translucent plastic suspended in a cylinder that allows players to build their own custom character from nearly a thousand different body parts and accessories. Placing a fresh Creation Crystal on the Skylanders portal launches into the character creation sequence. Players choose from one of 10 battle classes, each with its own play style and a selection of special abilities to mix and match. 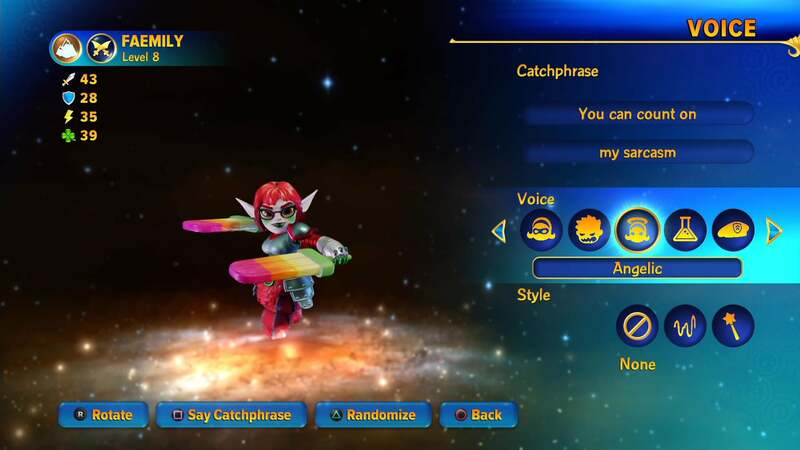 Once that permanent (boo) decision is made, it's time to spend at least 20 minutes painstakingly mixing and matching parts, choosing and modifying colour palates, assigning a voice and vocal modifiers and selecting a name and catchphrase. I thought I was finished at level eight. The creation doesn't stop after that initial build. 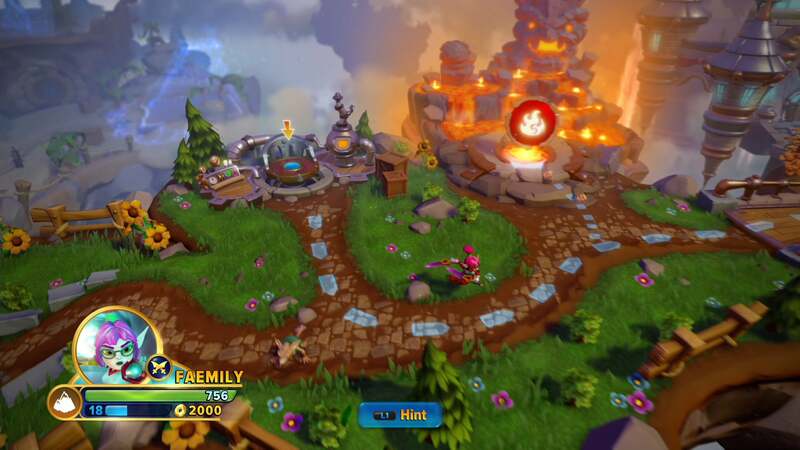 As the player makes their way through game's 10-chapter story and explores the new overworld map, they're constantly unlocking new parts for their custom Skylander. Parts range from common to epic, with the most powerful equipment locked behind modest level requirements. I was not finished at level eight. There's always a new "perfect" part lurking around the corner. The character I based on my wife, Faemily, was pretty amazing at level eight, but then I found better hair, a cool skull backpack and a tiara. I think I've got her just right at this point, but I can't be sure until I unlock everything. After playing through the story mode using my own characters almost exclusively, they have grown on me far more than any of the characters Toys For Bob or Vicarious Visions have designed over the years. 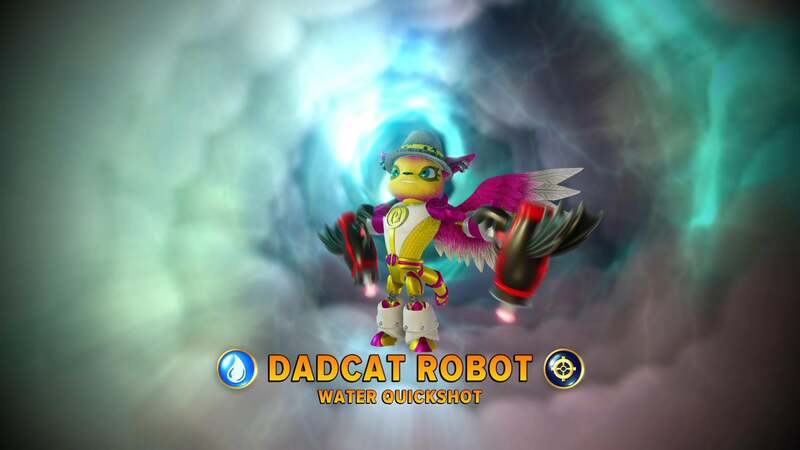 If you'd asked me my favourite Skylander last week I would have said Roller Brawl. Now it's Faemily, a character who's mine and mine alone. That's not to say that the new sensei characters aren't important. With a mix of new characters and series villains making their first appearance in toy form, the 31 flavours of mentor characters each unlock new character creation items, special techniques for their corresponding battle classes and raise the level cap for player creations. It's just that unlike previous games in the series, which relied on new characters and gimmicks, the sensei toys feel more supplemental than essential. There aren't any areas in story levels that are locked unless you have a certain type of character of a certain element or battle class. There are a series of levels on the overworld map that are unlocked by sensei characters, one for each element type, but they feel more like a bonus than something being withheld. Skylanders: Imaginators is less about the toys you buy and more about the characters you create. And while at $11 the cost of Creation Crystals can really rack up, one goes a very long way. Don't worry, Activision still has plenty of stuff to sell aside from Creation Crystals, and they're selling it hard. 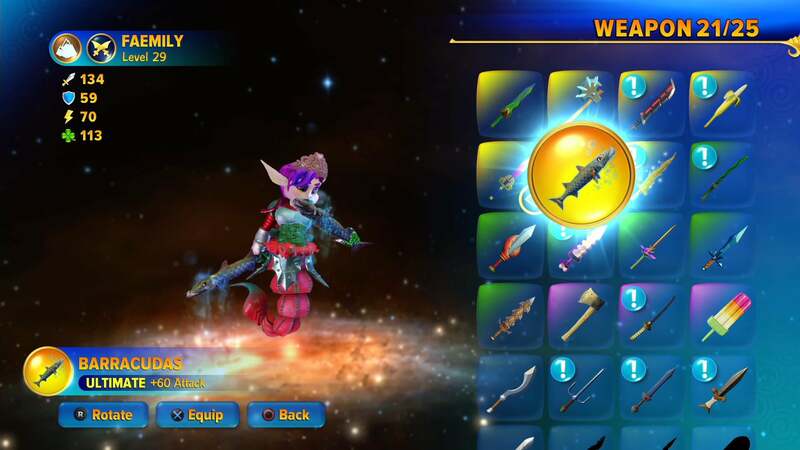 The game offers regular previews of crystals and characters the player doesn't have, a mainstay of the franchise. 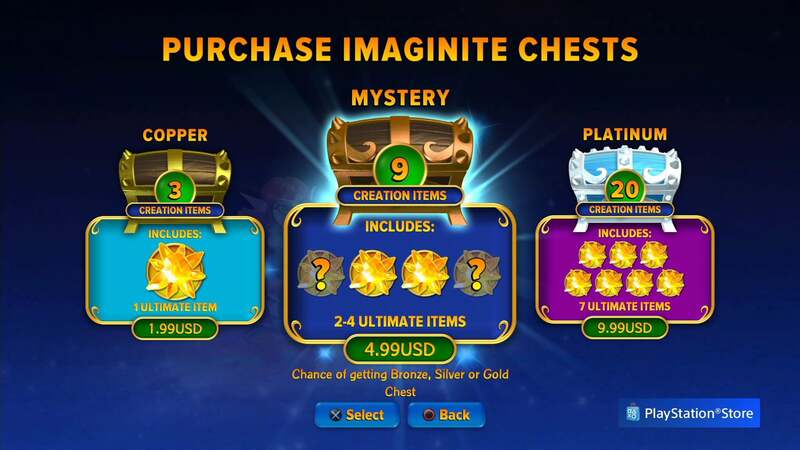 But this time around they have upped the ante with an in-game store where players can purchase Imaginite chests for a chance at scoring rare items. All of the items found in these chests can also be discovered randomly through gameplay, so it's slightly less obnoxious than it would be if they were cash exclusives, but did we really need this stuff on the game's loading screens? Oh yeah, and once you're done creating characters, there's a game to play. I should probably mention that. In Skylanders: Imaginators, the evil lord Kaos is harnessing the powers of the ancient beings who built the Skylands to create his own army of Skylanders, or Doomlanders, as he likes to call them. It's up to the player to fight imagination with imagination in an all-out battle for the fate of the the world. 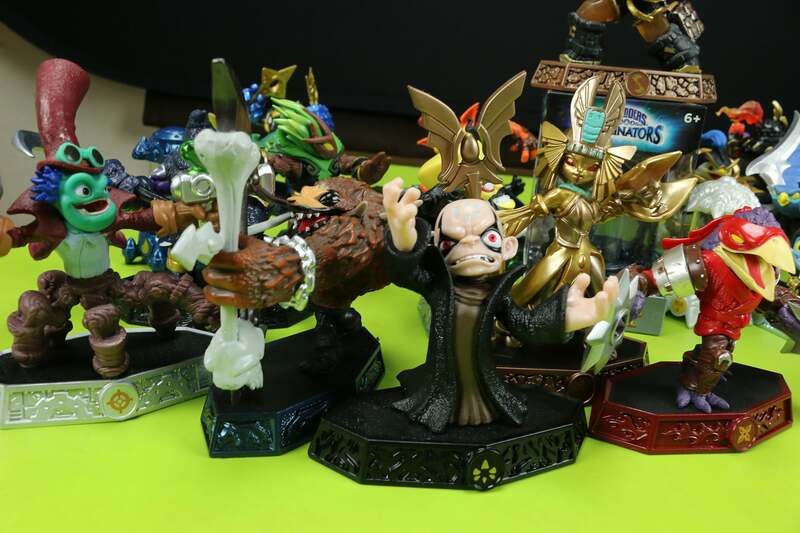 Imaginators signals a welcome shift in the Skylanders narrative. 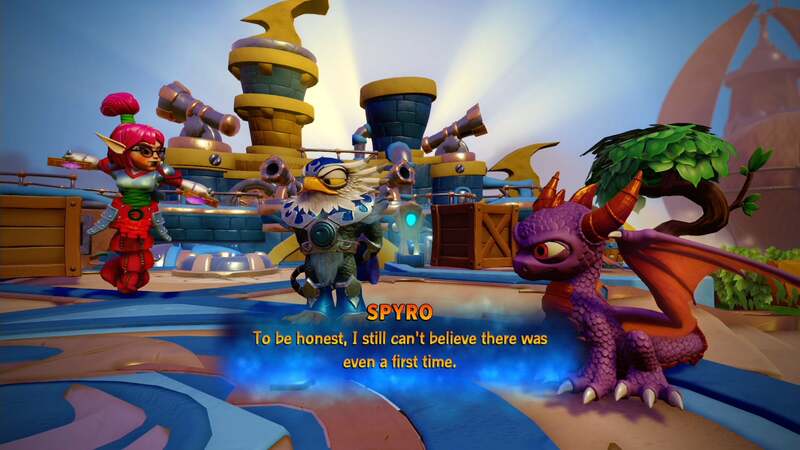 Rather than relying on non-player characters like the ever-annoying Flynn to move the story along, this time around it's the original Skylanders characters moving things along. Doubtlessly tied to the upcoming Skylanders Academy cartoon on Netflix, long-silent characters like Spyro, Stealth Elf, Eruptor and Jet-Vac get extensive speaking roles in this game. It's lovely to hear Spyro, one of my favourite video game characters, finally speaking again. 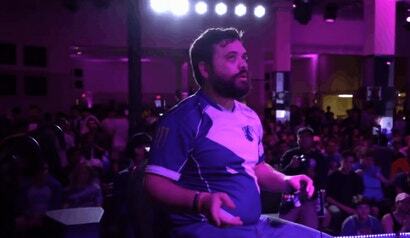 I'm hoping this new dynamic eventually leads to his own spin-off game. They could call it Spyro: A Skylanders Adventure. The story plays out over 10 levels, each filled with plenty of satisfying combat against creative new creatures, puzzles to solve, secrets to discover and chances for your created Skylanders to shine. Every boss fight grants a power advantage to Imaginator characters, driving home the created character focus. While not engaged in the story, there's plenty to do in the new overland map as well. 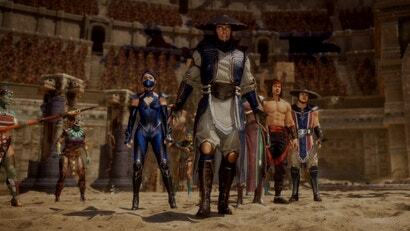 Engage in random battles or take on waves of enemies in the arena. Follow scurrying rats down their holes to discover hidden treasures. There's an optional random dungeon and several spots on the map reserved for post-story play, regularly doling out new activities. Much like last year's Superchargers, the races of which are carried over for the speed freaks in the audience, Skylanders: Imaginators feels less like a continuation and more like its own self-contained experience. While every toy made since the series debuted is playable here, I found myself so wrapped up in my own creations that I didn't give them a second thought. 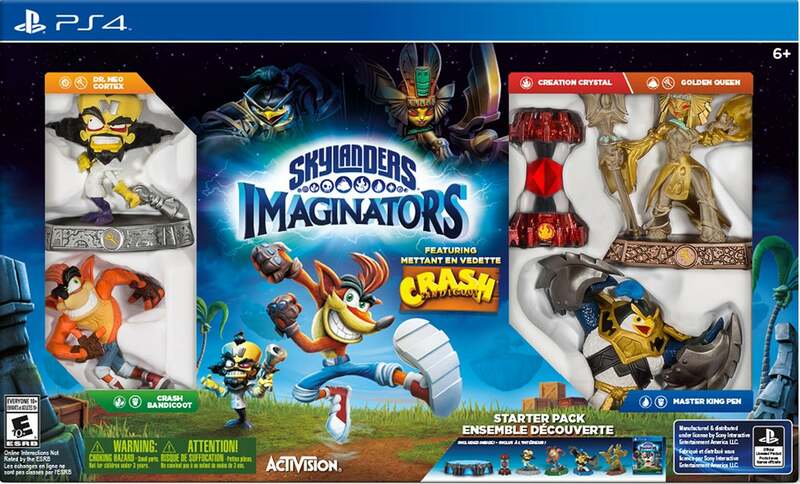 The basic idea behind Skylanders: Imaginators was to harness the imagination of fans who have spent the past several years putting pen (or crayon) to paper to create their own Skylanders. I never had the inkling to do such a thing, but now I see the appeal. After a dozen hours romping around the Skylands with Faemily, Seamusbot, Archer Rex, Bird Kirkilton and Dadcat Robot, it feels like I've made the game my own. This is my Skylanders. We were moderately disappointed with Superchargers, but this one actually looks good. Could you clarify if this means "permanent until deleted" or "permanent for reals"? Permanent for reals. Really bad design choice on one hand but it gets people buying more crystals on the other.. Wife and I are loving the game BUT the way they handled the equipment/loot side of it has a problem. Quality of weapons are locked to a level. Legendaries are level 6, all of them. So if you get a Legendary at lvl 6, you will never change that weapon unless you get another legendary that has a different distribution of stats. And if you pick up a legendary at level 25, it is still a level 6 item. So all these unique looking weapons that are rare or epic will always be a downgrade regardless what level you are when you pick them up. What they should have done is more along the lines of Diablo. All qualities of items can come at any level, and the higher the level of the item the stronger it is. Level 6 legendary not as good as a level 16 blue or purple etc. Given that currently you can get max level to 31 (I think thats it atm) you can be stuck with the same legendary item you picked up at level 5 for a long time, potentially forever, unless you want to handicap yourself by equipping a rare or epic. Or at least give us a way to have items on just for the look without losing the stats of a great item you have. But overall the game is great. And much more fun than all the previous games imo. Have they implemented a split screen in co-op yet or are you still tethered to each other?